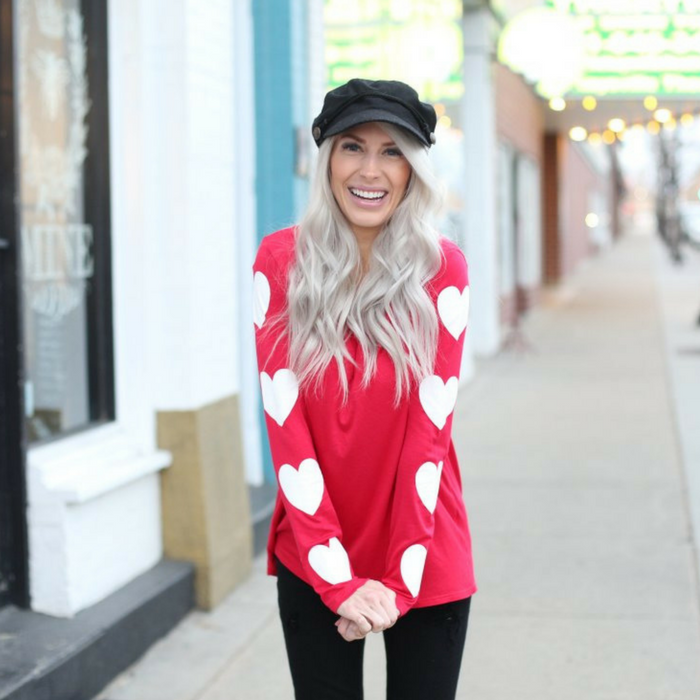 Heart Shirt Just $18.99! Down From $39! You are here: Home / Instagram / Heart Shirt Just $18.99! Down From $39! Jane has this Heart Shirt on sale for just $18.99 down from $38.99! Shipping is $3.99 for the first item and $1.99 for each additional item! You will LOVE this shirt right in time for Valentines Day! Dress it up with styling jeans, boots and maybe some jewelry or style it down with some sweats. This shirt has such a comfortable fit with darling heart detail down the arm of the shirt. The best part is that it can easily be worn year round with the loose/comfortable fit that it has. This shirt is fitted along bust and arms and falls by waist. Runs a little big. Shirt falls a couple inches past your waist.